In the early 1990s, two Italian organized crime families were battling for the control of New York City, when an unpredictable secret affair between rivals could signal ending the war, once and for all. The Giulianis, after being in control of the New York City mafia for over 30 years, began losing their grip on the citys organized crime enterprise. The Lombardis were determined to scale their way to the top taking advantage of the now fragile situation of the Giulianis. The, the tip of power between organized crime families flipped after the Giulianis did a hit on the Baldinottis. 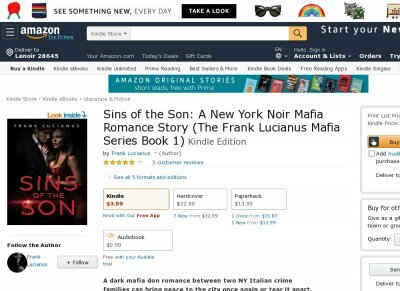 Francesco Giuliani, the heir of the Giuliani family is grappling to keep his familys place among New Yorks toughest mobsters. Jessica Lombardi, the only daughter of the Lombardis, is struggling to substantiate that she merits a position in her familys network. When the two faced, everything transformed.